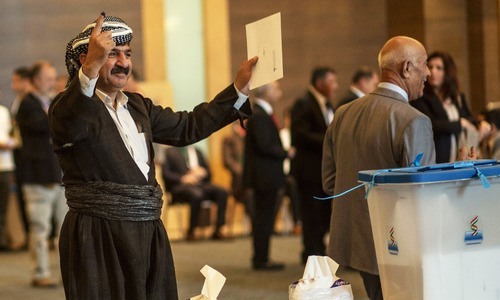 IRBIL: Iraqi Kurds voted on Sunday for a new parliament in their autonomous region, which is mired in an economic crisis a year after an independence referendum that infuriated Baghdad. Almost 3.1 million voters were eligible to cast ballots across three provinces in the northern region, where 673 candidates from 29 political movements contested seats in the 111-member parliament. Polling closed as scheduled at 1500 GMT and the results are expected within 72 hours. The vote passed off with only minor incidents such as gunmen trying to vote without the necessary papers. 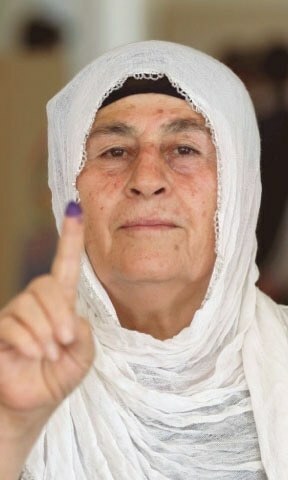 The electoral commission gave an official turnout of 58 per cent of registered voters in Arbil, the regional capital and one of the three provinces which make up Iraqi Kurdistan. The figures were 53 per cent for Sulaymaniyah and 61 per cent in Dohuk. The commission gave no overall figure but early indications pointed to a modest turnout following a campaign that aroused little enthusiasm. The vote in Kurdistan came as Iraq struggles to form a new government after a nationwide parliamentary poll held in May. On Monday, the federal parliament in Baghdad is due to elect the president of the country. Iraq’s Kurds have been a key US partner in the war against the IS and had hoped their role would boost international support for statehood. 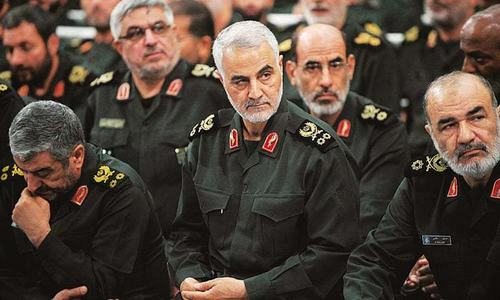 But a massive “yes” vote in the September 2017 referendum for independence, deemed illegal by Iraq’s federal government, backfired on the oil-rich autonomous Kurdish region. Baghdad imposed economic penalties and sent federal troops to push Kurdish forces out of oil fields vital for the region’s economy, depriving it of a key lifeline. In another blow, Iraq’s parliament in March passed a budget that saw Kurdistan’s slice of the federal budget drop from 17 per cent to 12.6 per cent. 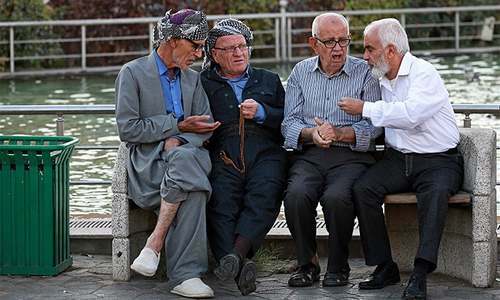 Kurdistan had enjoyed an economic boom after the 2003 US-led invasion of Iraq that toppled veteran dictator Saddam Hussein, as the rest of the country sank into violence. But the emergence of IS in 2014 coupled with tumbling oil prices battered the region’s economy. According to official figures, 87 per cent of households across the region, home to around six million people, eke out a living on less than $850 per month. Experts say the election is not expected to change the political map in Kurdistan, but could shed light on the divisions that emerged after the 2017 referendum. Parties that have long held sway are set to come out on top yet again. The outgoing parliament and government are dominated by the Kurdistan Democratic Party of veteran leader and former president Massud Barzani, who championed the referendum vote. The KDP currently holds 38 seats, while its traditional rival, the Patriotic Union of Kurdistan (PUK), has 18. The main opposition Goran (Change) party has 24 seats in the outgoing parliament. Only one new political party competed in Sunday’s poll: the New Generation movement, founded in 2018 to channel public anger at the region’s elite. Eleven seats in the Iraqi Kurdish parliament are reserved for religious and ethnic minorities: five for Turkmen candidates, five for Christians and one for the Armenian community.